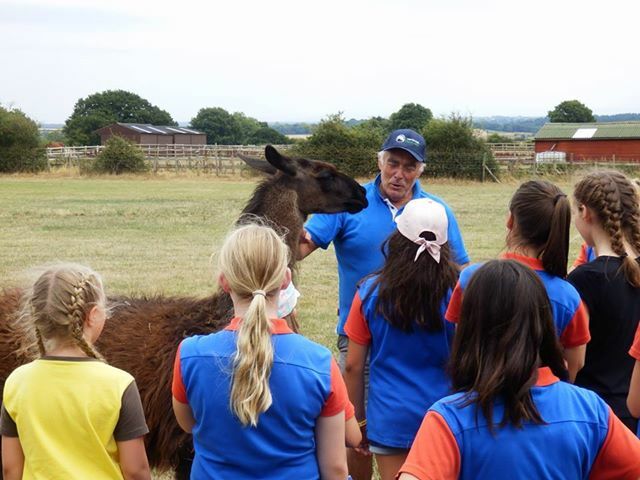 Talks and workshops tailored to requirements from hands on handling skills for children at Hillview Llama Farm to classroom visits and lectures. 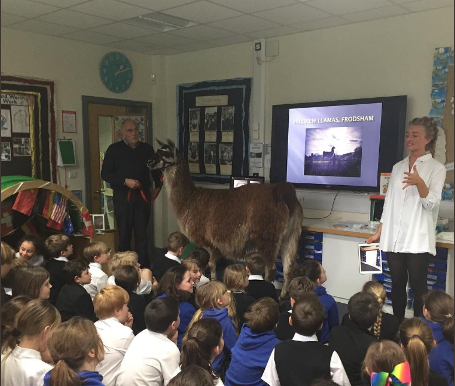 Richard Cox is a qualified school teacher and former university professor with experience at every level of education and can offer talks on a whole range of llama related topics to a wide range of audiences from school children and youth groups (eg. 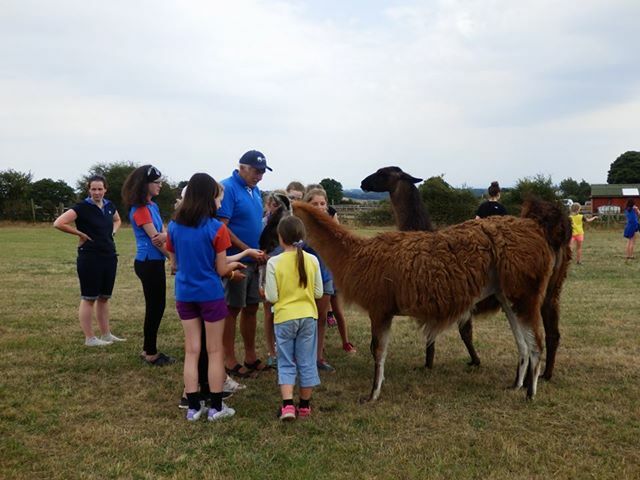 Guides/Scouts), through adult groups (eg. WIs.) and special needs (eg. 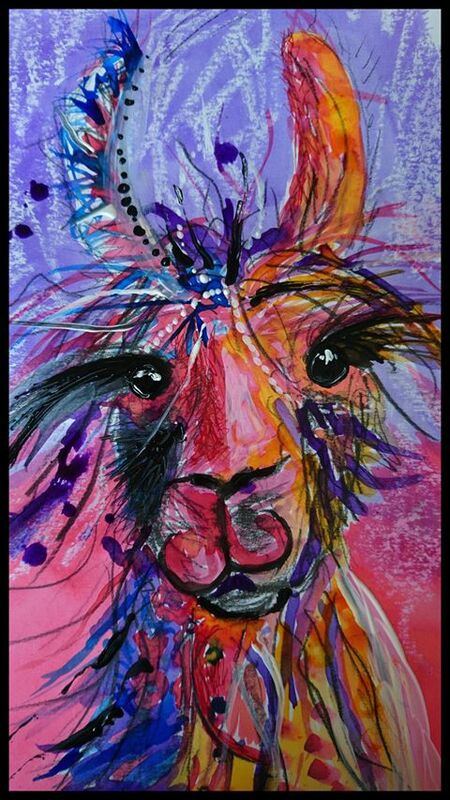 Rainbow Club) , to elderly (eg. Opal Groups) and university students. 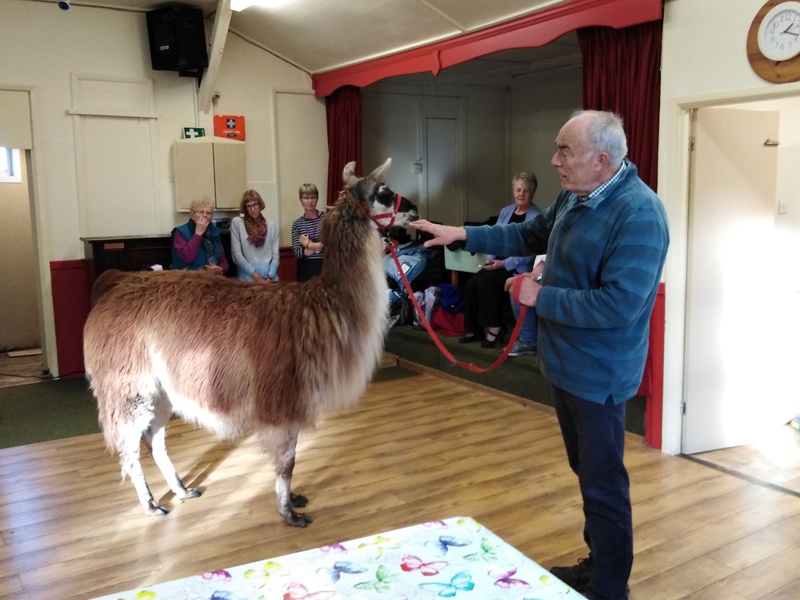 Covering topics from basic husbandry to research in llama evolution and social history, nutrition, physiology and llama reproduction. 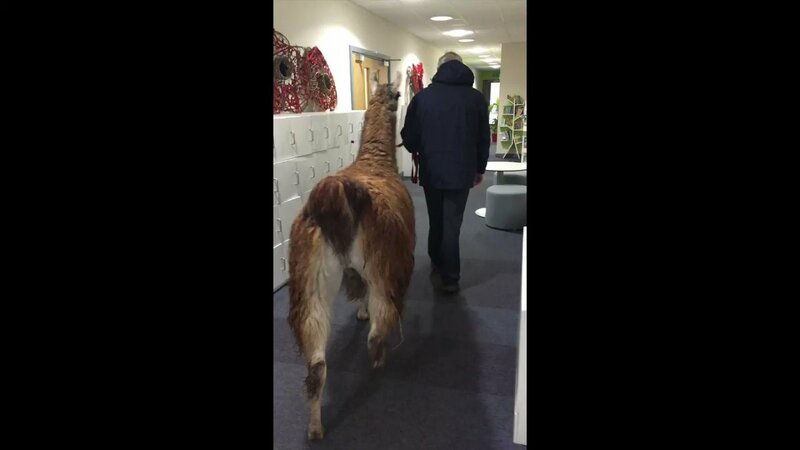 He is currently writing a book covering many aspects of llamas. Topics that can be covered in a general presentation are to be found here. Please contact to discuss requirements and terms. Thanks! 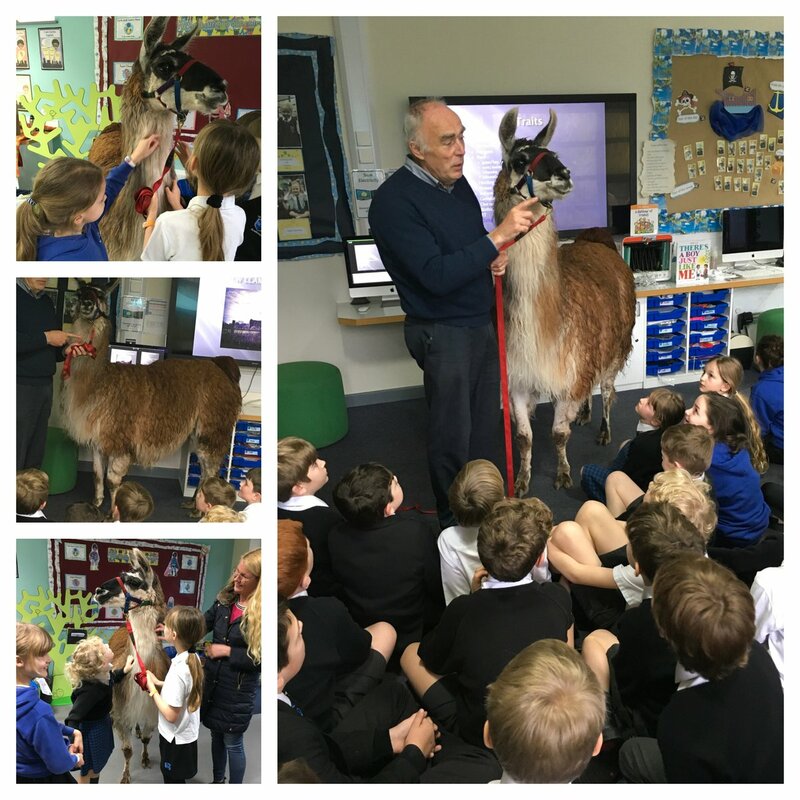 They loved the experience. 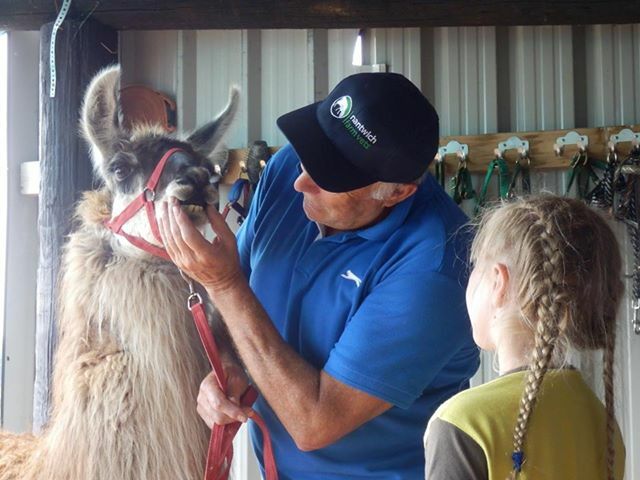 I had great photos sent to me too and they said how engaging you were and how well cared for the animals were. A perfect Christmas gift! Many thanks, Victoria.